Get it??? Bust??? That’s what this post is about after all. When we were brainstorming about what to give our parents for Christmas, we thought and thought and thought. Then one day, I spotted these at Walmart…. 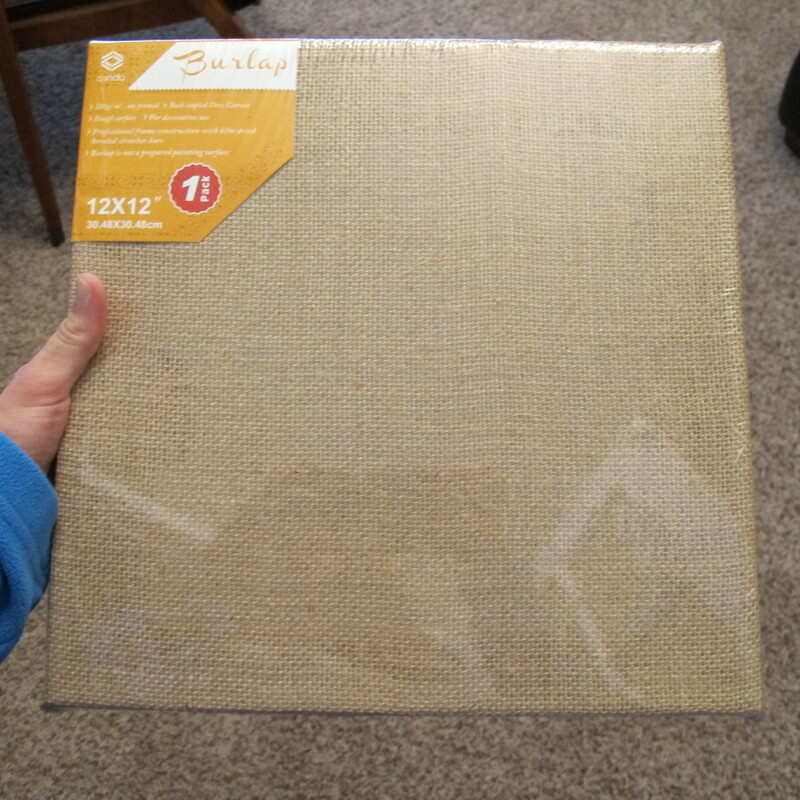 Burlap canvases for around five bucks a piece. And I asked myself… what do you get the grandparents who have everything??? Why, more pictures of Lucas, of course!!! 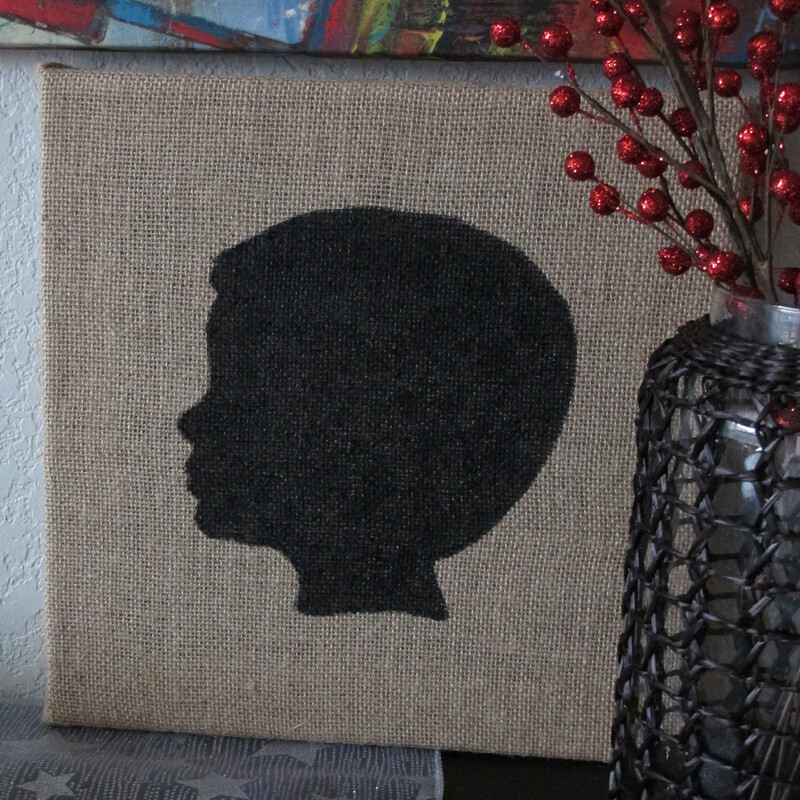 I thought the burlap canvases would be the perfect backdrops for black silhouette busts of Lucas’s sweet profile. Then, I procrastinated for three months. I tell ya, I always have good intentions. Every year, I try to plan presents early. It’s the execution part that I seem to have a problem with. So anyways, when I finally motivated myself to get on it, I pulled the pic up on our computer screen and stared at it for a while as I decided how to proceed. 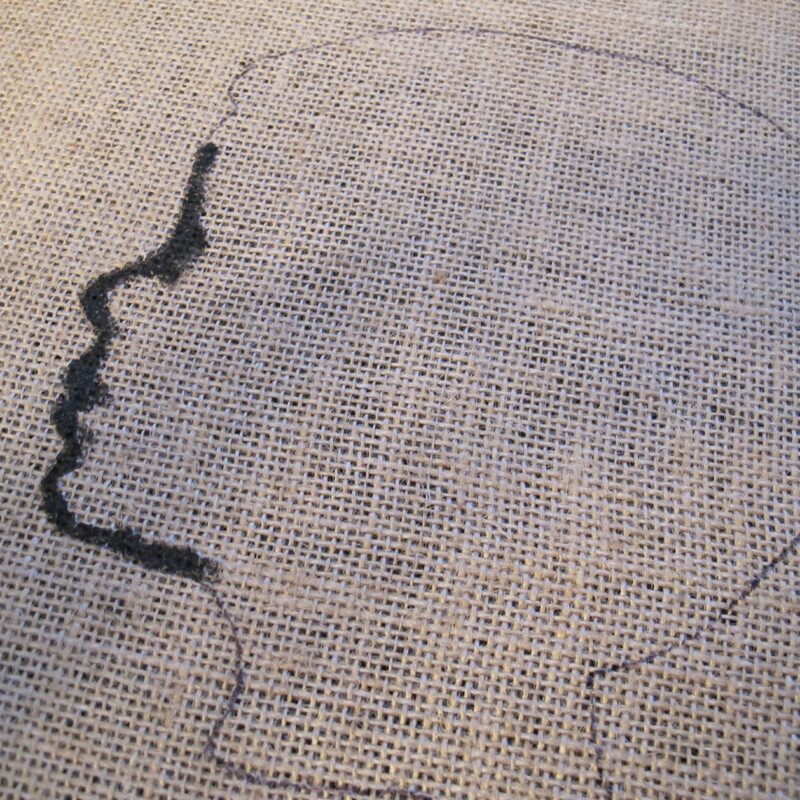 Then, I held the burlap canvas right up to the screen and realized that thanks to our newly upgraded monitor, the pic was the perfect size for the canvas as is. Right there on the monitor. 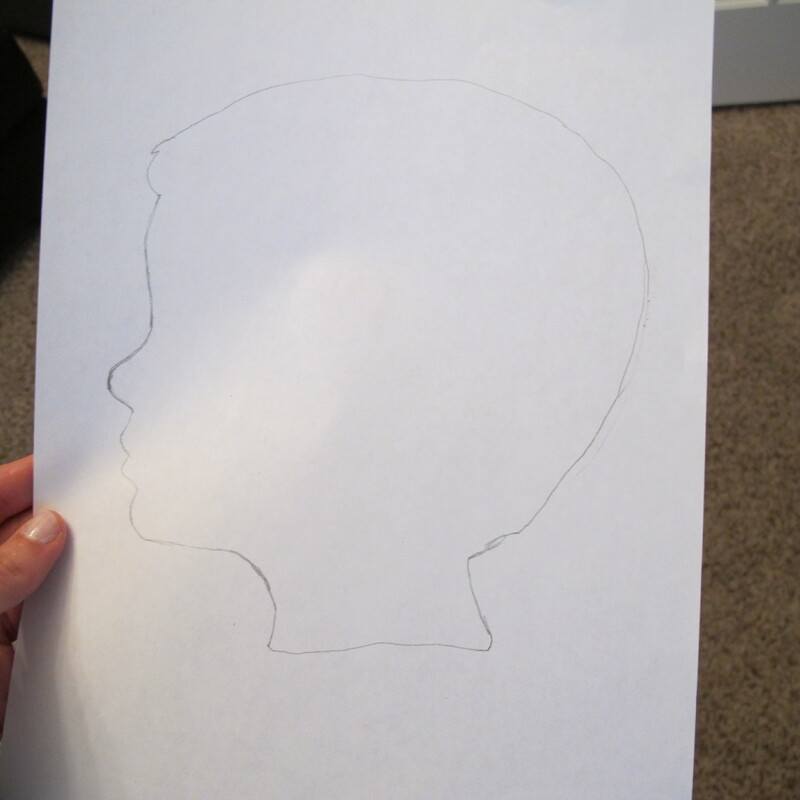 So, I held a piece of computer paper up to the screen and simply traced the outline of Lucas’s head with a pencil. Worked like a charm. I’ll bet you could do this on just about any monitor, too (as long as it’s big enough). Just zoom in until you reach your desired size and use the screen as a lightbox of sorts. 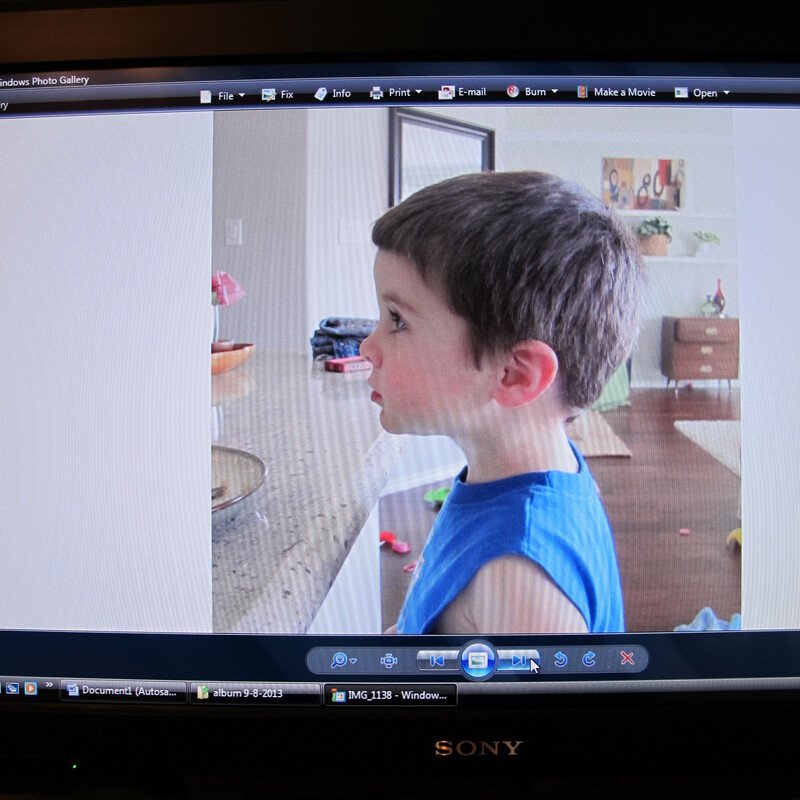 I cut out my baby boy’s profile…. 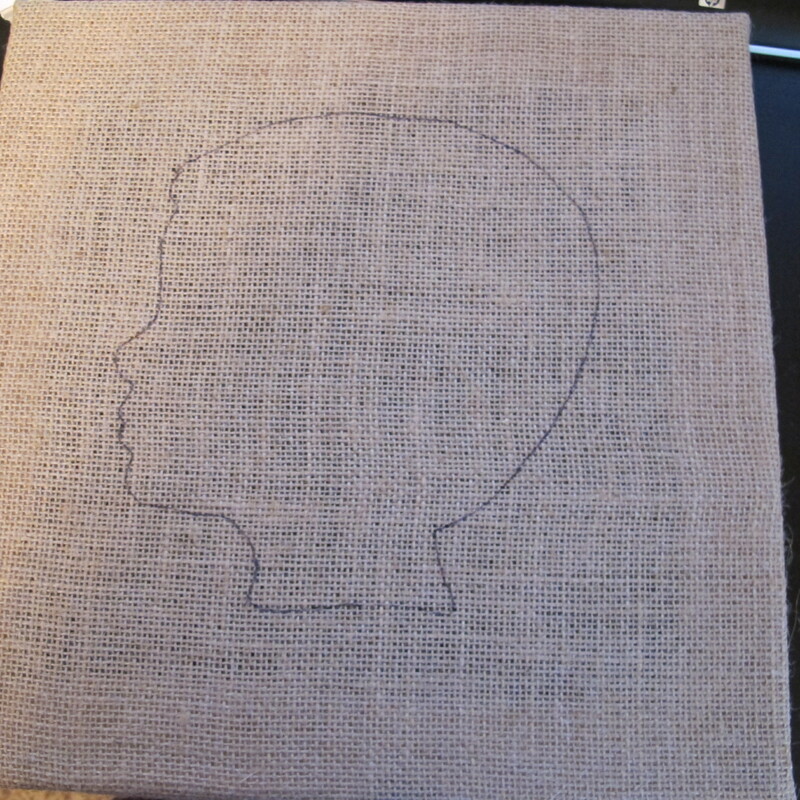 And placed my paper template on my canvas. 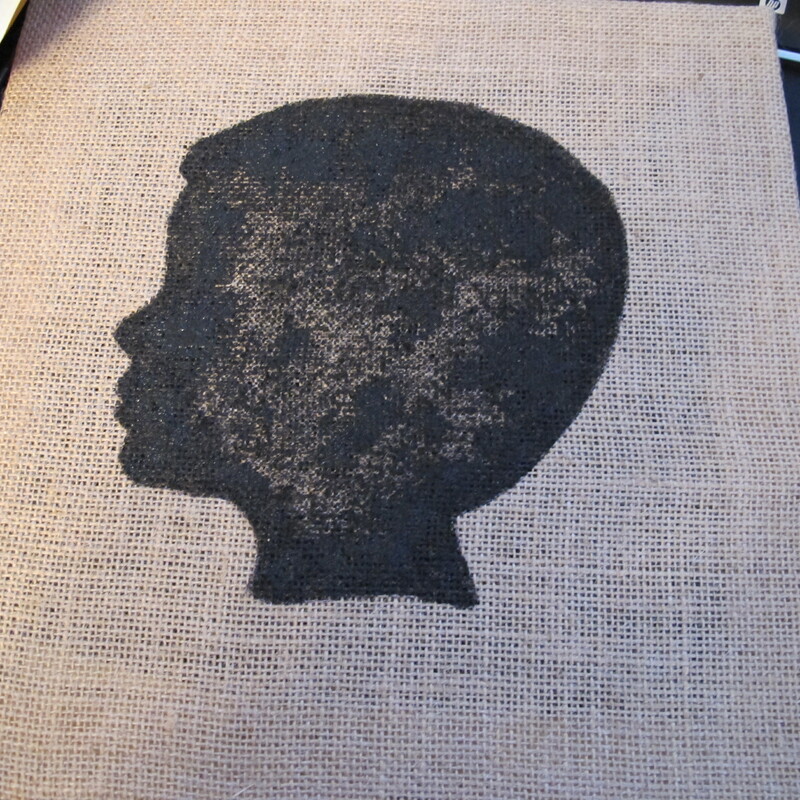 I used a fine-tipped black sharpie to CAREFULLY trace the outline of Lucas’s head onto the burlap. To be honest, I was sweating bullets during this part. When I lifted my paper after I’d completed my outline, I was pleasantly surprised….. YESSSSSSSS!!!! It looked like him and everything!!!! 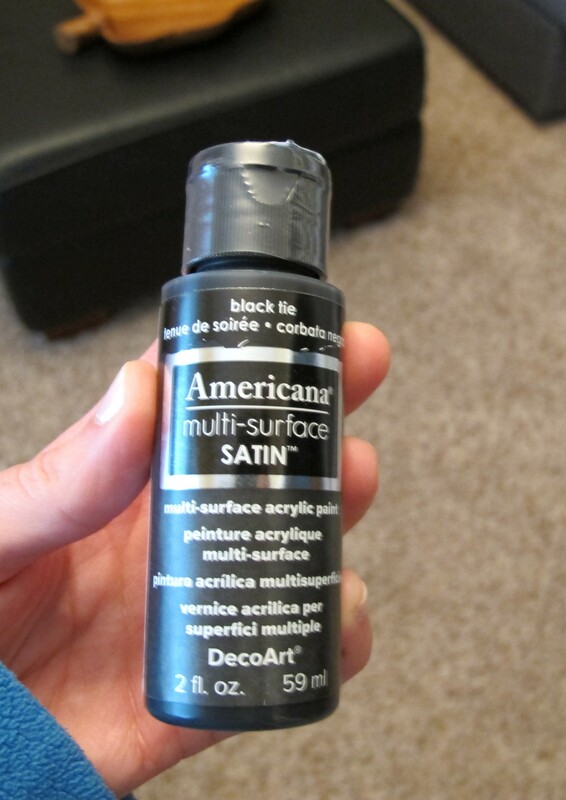 Then I used this multipurpose paint (which specifies that it can be used on fabric)…. …to fill in the lines. I used a thin painters brush to do the outline. I filled right up to my sharpie line. NOT over it. Then, I used a larger brush to fill in the inside. This is when I realized that although burlap seems low maintenance, it’s really quite greedy. With paint anyways. It soaked up a surprising amount. Then, wanted MORE. Burlap, you little diva, you. Anyhow, here’s how it looked after one coat of paint…. I let that dry, then applied another. And here’s the finished product…. After I was done, I waited a few days to be sure I was fresh, and repeated the process again so that both sets of grandparents would have a cute little Lucas profile. I have to say, I was pleasantly surprised with how quick this project was. I fully expected it to take longer. 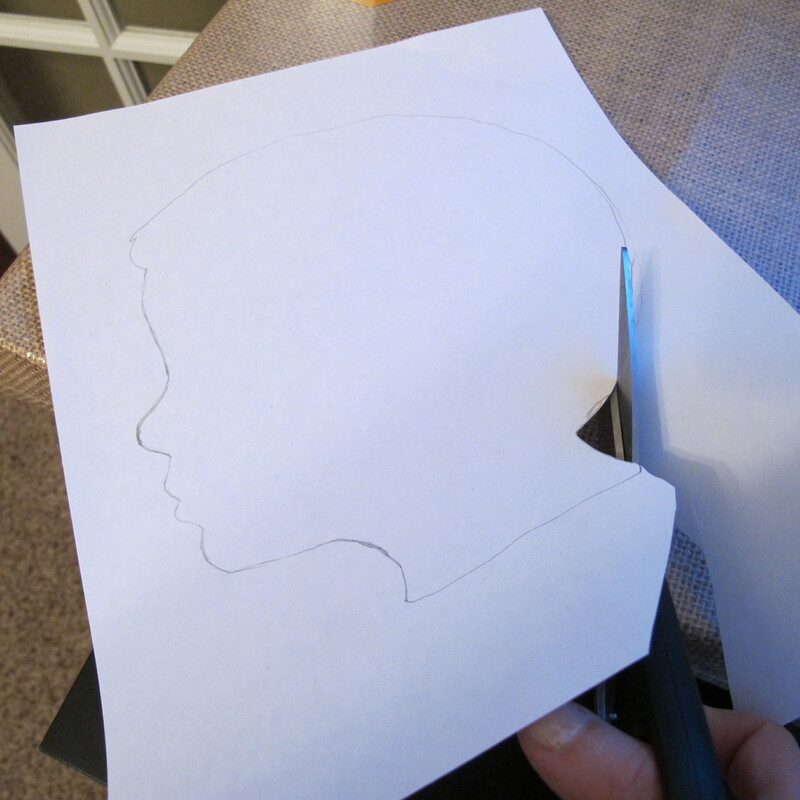 I used the same Lucas template for both canvases, which helped save some time. The longest part was simply filling in the lines with paint, which wasn’t bad at all. And in the end, both sets of grandparents seemed to really like them, so I’m calling this project a success! So anyways, I hope everyone had a very Merry and safe Christmas (or Hanukkah or Festivus or whatever holiday you celebrate)! So, tell me, how’d Santa treat you guys?? Any fun DIY gifts in you’re parts? 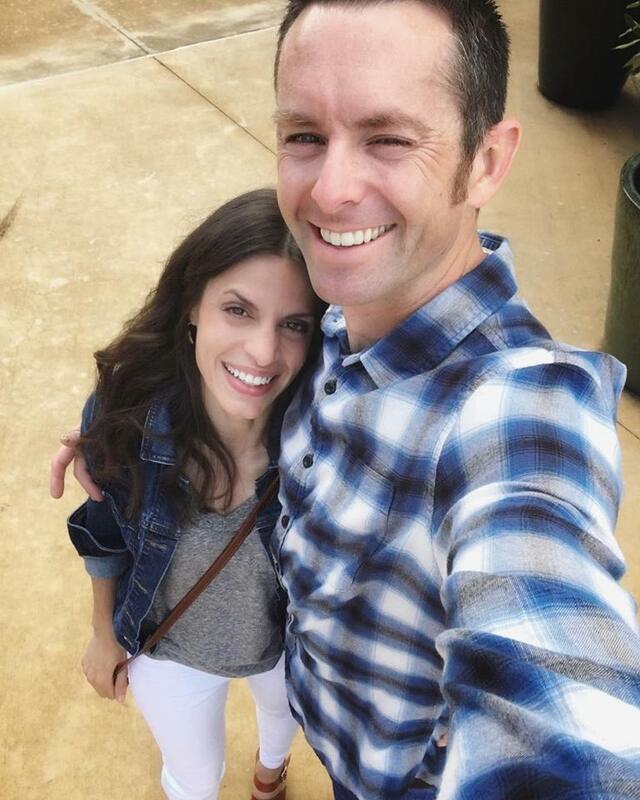 We absolutely love it! And, there’s no denying who it is. I smile every time I look at it. Very nice indeed! Can’t wait to see it in person next week. Thanks Ann Marie! I’m a huge cheapo all the way. Hahaha!! Am really enjoying it also….am chuckling over the process…you never fail to blow me away with your ideas…lol. 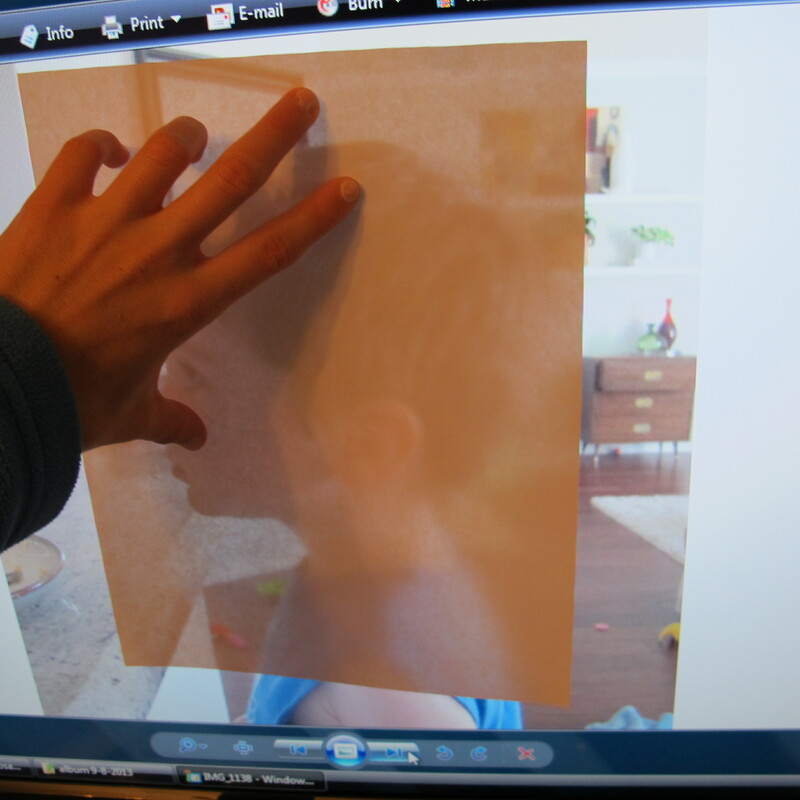 Tracing the computer screen…fabulous!! !